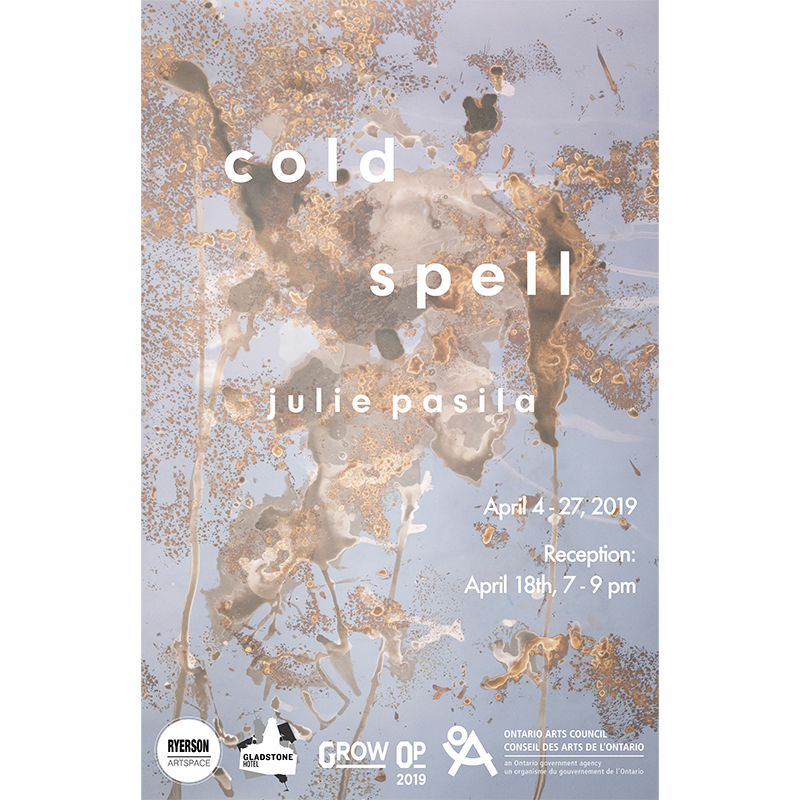 Cold Spell explores the winter landscape of the Toronto Islands through lumen printing, an experimental image-making technique that removes photographic papers from both the camera and the darkroom. These light-sensitive materials have been brought out into the field and placed into direct contact with daylight and other natural elements, such as snow, rain and lake water, to create one-to-one impressions of the landscape. The organic forms of each photograph reveal the shape and texture of their subjects, but are abstracted by an unusual colour palette, produced by the misuse of the paper’s emulsion, and by an accrual of mark-making that happens over each photograph’s long exposure time (five minutes to one hour). 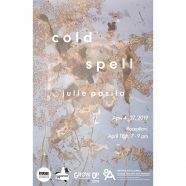 Julie Pasila is a Toronto-based artist working with analogue photographic processes. Her current work brings light-sensitive photographic papers out of the darkroom and into the field to create one-to-one impressions of the landscape. She received her MFA from Ryerson University in 2011 and her BFA from the University of Guelph in 2007. NOTE: The School of Image Arts is not the liason/manager for the opportunities/events/postings listed.